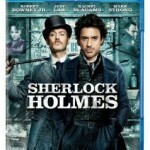 Blockbuster says Sherlock Holmes topped their Blu-ray rentals for the week ending April 4, followed by The Blind Side and Brothers at second and third. Downloaded rental titles via Blockbuster On Demand were also lead by Sherlock Holmes, with The Blind Side and 2012 trailing in second and third. Top selling digital titles were Alvin and the Chipmunks: The Squeakquel (1st), Sherlock Holmes (2nd) and The Blind Side (3rd). The top video game rental at Blockbuster was God of War III for PS3. Battlefield: Bad Company 2 and Just Cause 2 both for Xbox 360 were second and third respectively.